One of the reasons why many Christians do not spend much time in prayer is that they feel that they are inadequate in their praying, or that their prayers are not effective. In other words, they feel or question in themselves, “who am I that Almighty God will hear my prayer?” But the truth of the matter is that the word of God ASSURES us that the effectual fervent prayer of a righteous man AVAILS MUCH. So let us begin this study in God's word by reading James 5:16-18, which tells us about one of the effectual fervent prayers of a righteous man named Elijah. “Confess your faults one to another, and pray one for another, that you may be healed. The effectual fervent prayer of a righteous man avails much. 17. Elijah was a man subject to like passions as we are, and he prayed earnestly that it might not rain: and it rained not on the Earth by the space of three years and six months. But wait a minute, did you not also read in this very same verse of Scripture that Elijah was a man subject to the same passions as we are? In other words, Elijah was a mere man JUST LIKE you and I. Sometimes when we read these great miraculous accounts in the Bible we tend to lift up and exalt the man by whose hand these miracles were brought forth forgetting that he was just a man like you and I, who was being used by Almighty God. You see my dear brothers and sisters in the Lord, it was not the man who was or is doing the miracle, but rather it was and is the anointing power of Almighty God flowing through the man or woman, who yields himself or herself to be used by God. Jesus made a very interesting statement found in both the gospel of Matthew and the gospel of Luke. Let us take a look at what Jesus said in Luke 7:28 about John the Baptist being the greatest prophet who ever lived. Jesus is telling us here that John the Baptist is the greatest prophet who has ever lived, and that he is even greater than Elijah and Elisha. However, Jesus did not stop there, but went on to say: BUT I tell you of a TRUTH that he of you that is the LEAST in the kingdom of God is GREATER than John the Baptist and ALL the other prophets that were before him including Elijah and Elisha. Here in the gospel of Matthew Jesus did not use the word prophet, but simply said, “Verily or truly I say unto you, Among mankind that are born of women there has not risen a greater human being than John the Baptist, however, I tell you a truth that whosoever is the least in the kingdom of heaven is greater than John the Baptist and every man that came before him.” So in other words, if you are a human being and are a Christian, then you are GREATER than John the baptist and ALL the prophets of God that were before him including Elijah and Elisha. Now some of you may be saying, “Well, that is talking about a future time when the kingdom of God or the kingdom of heaven is with men on the Earth.” And yes, I will agree that the kingdom of God has not come as yet to the FULLEST. That is to say, Jesus has not returned to the earth to establish God's kingdom to rule and reign for 1000 years. However, Jesus teaches us in Luke 17:12-21 that the kingdom of God is WITHIN us. 14. And when he saw them, he said unto them, Go show yourselves unto the priests. And it came to pass, that, as they went, they were cleansed. 19. And he said unto him, Arise, go your way: your faith has made you whole. You see my dear brothers and sisters in the Lord, we have already been translated into the kingdom of God, the kingdom of LIGHT. We have been given all authority over the kingdom of darkness in the name of Jesus. An excellent source to read on this subject of our AUTHORITY is the book “The Name of Jesus” written by Kenneth E. Hagin. If you can find a copy of this book, I implore you to get a hold of one and read it several times. Read it as the men in Berea and search the scriptures daily to prove to yourself that it is truly teaching the pure undefiled word of Almighty God. “And in the morning, as they passed by, they saw the fig tree dried up from the roots. And Peter calling to remembrance said unto him, Master, behold, the fig tree which you cursed is withered away. For verily I say unto you, That WHOSOEVER shall SAY unto this mountain, Be you removed, and be you cast into the sea; and shall not doubt in his heart, but shall BELIEVE that those things which he SAYS shall come to pass; he shall have whatsoever he SAYS. Now I want you to notice that when Jesus PRAYED about the DESIRE in his heart to come to pass concerning the fig tree, that Jesus did not “Pray to the Father” and ask, plead, or beg Almighty God the Father to curse the fig tree. But rather Jesus SPOKE with words of FAITH that he himself BELIEVED would come to pass and simply went on his way casting that care upon his God and Father in heaven knowing that he would HAVE whatsoever he spoke in FAITH BELIEVING. Let us back up a few verses and read the whole passage to see HOW Jesus himself PRAYED in this particular situation. Please read Mark 11:12-24. 12. And seeing a fig tree afar off having leaves, he came, if haply he might find any thing thereon: and when he came to it, he found nothing but leaves; for the time of figs was not yet. 13. And Jesus answered and said unto it (or that is to say, Jesus speaking directly to the fig tree said), No man eat fruit of you here after for ever. And his disciples heard it. 15. And would not suffer that any man should carry any vessel through the temple. 16. And he taught, saying unto them, Is it not written, My house shall be called of all nations the house of prayer? But you have made it a den of thieves. 17. And the scribes and chief priests heard it, and sought how they might destroy him: for they feared him, because all the people were astonished at his doctrine. 18. And when evening was come, he went out of the city. 19. And in the morning, as they passed by, they SAW the fig tree dried up from the roots. 20. And Peter calling to remembrance said unto him, Master, behold, the fig tree which you cursed is withered away. 21. And Jesus answering said unto them, Have faith in God. 22. For verily I say unto you, That WHOSOEVER shall SAY unto this mountain ,(that is to say, WHOSOEVER shall SPEAK TO the PROBLEM that is before them and SAY) Be you removed , and be you cast into the sea; and shall NOT doubt in his heart, but shall BELIEVE that those things which he SAYS shall come to pass; he shall have whatsoever he SAYS. I believe that many prayers of Christians, who are sincerely praying and believing God to answer their prayers go unanswered, because sometimes the things we are praying for and asking God to do, we ourselves have already been given the AUTHORITY by Almighty God to do ourselves in the name of his Son, Jesus. And God wants us to stand in our AUTHORITY and use the name of Jesus to change the circumstances that come against us in life. Let me give you an example of what I mean by this. When I first got married I worked for myself as a carpenter, and I was putting a roof on a house. I was about two hours away from completing the job, when a sudden storm started to come up and it began to rain. Well, I had no insurance to cover the damage that the rain would cause, and fear began to overtake me, because I could not afford to pay for the damage that the rain would most certainly cause. Then the Holy Spirit brought to my remembrance the words from the book I mentioned above about the AUTHORITY that we as Christians possess in the name of Jesus. So I stood up and rebuked the storm in the name of Jesus and spoke to the storm saying, I COMMAND you rain to stop right now in the name of Jesus. Storm I speak PEACE to you and I COMMAND the winds to cease in the name of Jesus. I then spoke to the clouds and said, Clouds you will hold back the rain until I finish nailing the last shingle in place in the name of Jesus. The rain and wind ceased immediately, because this is what I desired and needed to happen, otherwise water damage would occur to the home that I was working on and I would be responsible for any damage. I sat down and continued to work. About an hour later it started to rain again, so I stood back up and spoke to the rain, I said to the rain, I rebuke you rain in the name of Jesus, and then reminded the rain and spoke these words in faith thinking and believing upon the verses of scripture found in 1 Kings 17:1 and PROCLAIMED AGAIN, “It will not rain, UNTIL I have nailed the last shingle in place in the name of Jesus and I meant what I said before! And I said this with AUTHORITY believing the words of Jesus, which he spoke in Mark 11:23,24 that if we have faith in God and SPEAK to the MOUNTAIN and doubt NOT, then we shall HAVE whatsoever we have SPOKEN. The rain stopped and I continued to work without any rain or wind. After a little while it began to drizzle and rain ever so lightly and the thought came to me that it will not hurt if it just drizzles. This light rain will not bring any damage to the house, so long as it does not rain any harder. But the Holy Spirit brought to my remembrance the words that I SPOKE FORTH in FAITH that it would NOT rain EVEN ONE DROP, until I nailed that last shingle in place. So this time without getting up I simply said, “I am not going to compromise what I spoke in the authority of the name of Jesus, which I HAVE JUST SPOKEN into being, and said again, It is NOT going to rain even ONE DROP, until I nail the last shingle in place. And I RECEIVED EXACTLY what I SPOKE FORTH in FAITH. And I do mean EXACTLY ! Now looking back I would have made a few CHANGES in what I SPOKE in the AUTHORITY in the name of Jesus. For you see, IMMEDIATELY after I nailed the last shingle in place the clouds opened up and poured, and I do mean POURED. The wind began to blow with intensity and the thunder and lightning became even more fierce. You see, even though the rain had ceased and the winds stopped, the dark ominous clouds remained hovering above me, seemingly screaming at me the whole time, you had better hurry, because I am going to open up and pour a torrential rain down upon you any minute now. The thunder and lightning continued to rage all around me trying to bring doubt to me, but I would not let fear and doubt overcome what I had spoken forth in FAITH, until I nailed the last shingle in place it would not rain one drop. You see, the roof was NOW protected from the rain, but I was not. I got EXACTLY what I SPOKE FORTH in FAITH. The very moment that I nailed that LAST shingle in place the clouds opened up and poured. I was soaked from head to toe before I got down from the roof and my tools put away. If only I would have the foresight to add to my prayer that it would not rain, UNTIL I was in the truck loaded up and ready to go home. So consider very carefully what you speak forth in prayer, because your words of faith will produce what you SAY. Now I want you to know that this testimony is not just a fluke or a one time occurance. I have used my AUTHORITY in the name of Jesus over the weather many times in my life, and have therefore proved to myself the TRUTH of the word of God. And I am also fully convinced that God is NO RESPECTER of persons. In other words, the word of God works for every one who BELIEVES. Remember that Jesus said, WHOSOEVER shall SAY to the mountain, be you removed and be you cast into the sea, and shall NOT DOUBT, then that person who BELIEVES shall have WHATSOEVER he or she SAYS. “And when Jesus departed thence, two blind men followed him, crying, and saying, You Son of David, have mercy on us. 28. And when he was come into the house, the blind men came to him: and Jesus said unto them, Believe you that I am able to do this? They said unto him, Yea, Lord. All through the gospels Jesus repeatedly said to those he healed, YOUR FAITH has made you whole. Now let us take a look at HOW the disciple of Jesus PRAYED. Please read Acts 3:1-16 to get the whole context of what took place and EXACTLY HOW Peter prayed. “Now Peter and John went up together into the temple at the hour of prayer, being the ninth hour. 6. Then Peter said, Silver and gold have I none; but such as I HAVE give I you: In the name of Jesus Christ of Nazareth rise up and walk. 7. And he took him by the right hand, and lifted him up: and immediately his feet and ankle bones received strength. 12. And when Peter saw it, he answered unto the people, You men of Israel, why marvel you at this? or why look you so earnestly on us, as though by our own power or holiness we had made this man to walk ? 13. The God of Abraham, and of Isaac, and of Jacob, the God of our fathers, has glorified his Son Jesus; whom you delivered up, and denied him in the presence of Pilate, when he was determined to let him go. Now for the most part in churches today Christians would pray and ASK and even BEG or plead with God to heal this man, but God desires us to HAVE FAITH and stand in the AUTHORITY that we, as his children, have been given through the NAME of his Son, Jesus. You see my dear brothers and sisters in the Lord, the only difference between Elijah and many Christians in the church today is that Elijah knew his AUTHORITY he possessed that was given to him by Almighty God, whereas many Christians in the church today do not know their authority in the name of Jesus. The disciples of the early church knew their AUTHORITY in the name of Jesus, which is given to ALL believers who are in Christ Jesus. But for now let us continue with this study in God's word about the effectual fervent prayer of a righteous man avails much. First let's look at the meaning of each word in this verse of scripture that we are studying. The word "effectual" means producing, or sufficient to produce a desired effect, or fully adequate. In other words, the only prayer that is not effectual is a prayer that remains NOT being prayed, or a prayer that is prayed in unbelief, or where a prayer may begin in FAITH and then doubt or wavering sets in makes the prayer NOT to be and EFFECTUAL or even FERVENT prayer. The main point I am trying to make is PRAY. Communicate with God and ASK him to help you make your prayers effectual fervent prayers that get answered and get answered in a timely fashion. You must always remember that God is FOR US and not against us. God WANTS us to ASK him so that our JOY may be FULL. Now the word “ASK” here is translated from the Greek word “aiteo” which also means DEMAND and CALLED FOR or called forth into being. You see my dear brothers and sisters in the Lord, Peter and John did NOT ask or beg God to heal the lame man at the gate called beautiful, but rather DEMANDED, COMMANDED and CALLED FORTH into being that the lame man RISE and WALK in the NAME of Jesus. This is EFFECTUAL praying. The disciples spoke the name of Jesus and their command in the name above all names was more than enough to produce the desired effect. Now the word “FERVENT” means having intensity, having great emotion, being passionate. It also means extremely hot or to boil. This tells me that in order for our prayers to be effective, then we must be passionate about the situation for which we are praying. In other words, if it does not matter one way or the other the outcome of a given situation, then most likely we will not be fervent in our praying. 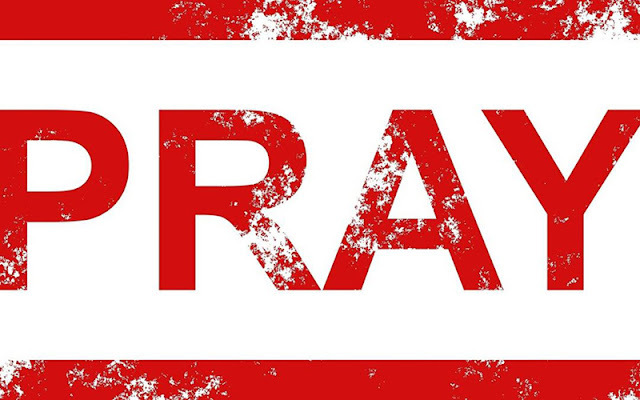 Another area of not being fervent in our prayers is NOT knowing the WILL of God concerning the outcome of our prayers. What I mean by this is, if we are praying for healing and we do not know whether or not it is God's will to heal us, then most likely we will give up on receiving healing if the healing does not manifest right away. Do you see what I am saying? A believer who is praying a FERVENT prayer will endure unto the end and NOT give up, until the desire result is produced. So in short the effectual fervent prayer is a prayer of FAITH, because faith never gives up and always produces that which is being believed to come to pass. So again, the key ingredient to any prayer is FAITH. Therefore since faith COMES by hearing and understanding the word of God, then a prayer that is based upon God's word will without fail produce the desired result. May God bless you richly as you become a doer of the word and not just a hearer only. Remember you have not, because you ask not. Therefore begin standing in the AUTHORITY that has been given to YOU as a BELIEVER and use the mighty name of Jesus with commanding authority over the enemy. You are a child of God and sickness and disease has no right or place in you or your family.